TT record-breaker Ian Hutchinson was guest of honour at this year’s Manx Grand Prix and was given the chance to do a lap of honour between the two races at today’s Manx. The lap was to celebrate his historic five wins in a week that he achieved at the 2010 TT races, beating Irishman Phillip McCallen’s previous record of four in a week. Hutchy rode the Honda 1000cc Superstock machine that he set the first 130mph Superstock lap on and said: "That was the best thing I have ever done. I was gobsmacked by the reception I received around the course from the fans. It was absolutely brilliant to get the chance to do a lap like that." 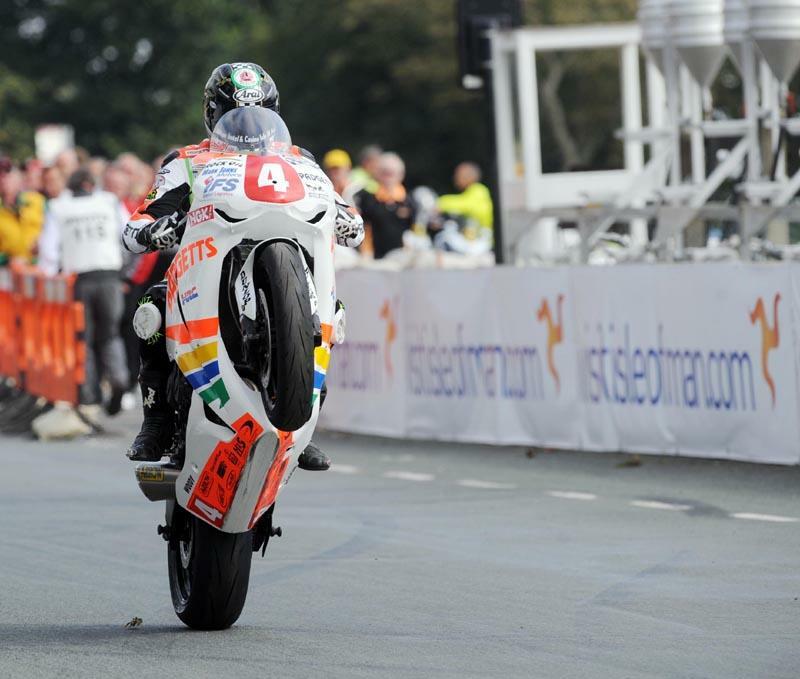 Hutchy had a busy week on the Isle of Man as he also started the Lightweight and Ultra Lightweight race and also signed up for the Isle of Man TT Marshals Association ‘Orange Army’ and marshalled during Wednesday’s Junior MGP race with BSB star Stuart Easton. He was also lined up to present the trophy to the Senior MGP winner later in the day. Hutchy, who now has eight TT race wins, first competed on the 37.73mile mountain course in 2003, winning the Manx GP newcomers race.